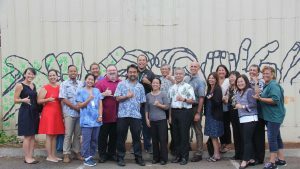 FAC 1st ANNIVERSARY: Celebrating with homelessness team leaders and service providers in Kaka’ako. 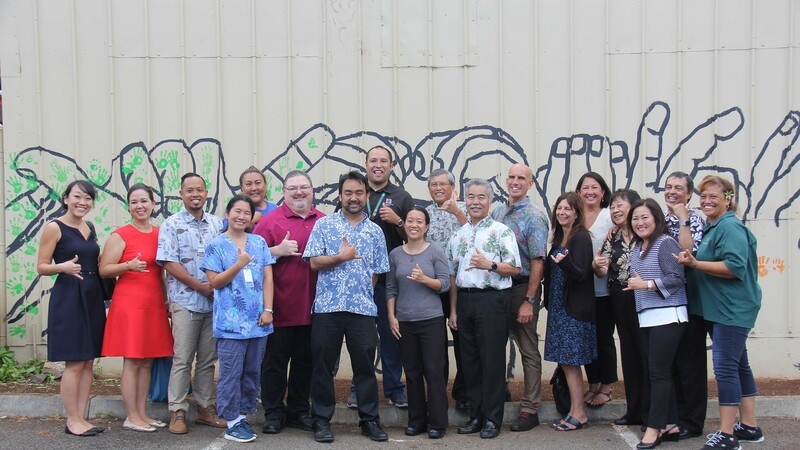 • The Family Assessment Center (FAC) in Kaka‘ako celebrated its one-year anniversary — offering hope, support and housing placement in 90 days or less for homeless families. “Many of the FAC families have been homeless for a long time,” said state homelessness coordinator Scott Morishige. “It’s a real transformation to see young children who have never had a roof over their heads be in a place that’s safe and stable,” he said. Gov. Ige checks progress at Kahauiki Village with Mel Kaneshige and Maj. Gen. Joe Logan. • More public-private partnerships – Kahauiki Village is set to open this month for the first group of homeless families on state land near Ke‘ehi Lagoon. 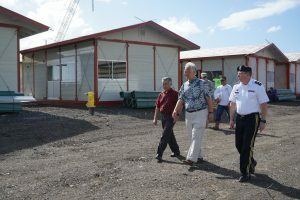 The plantation-style village was launched by businessman Duane Kurisu and his aio Foundation to provide affordable rental units for families who are employed but in transitional housing.